The days are getting shorter and the nights colder and these are signs that winter is creeping upon us. 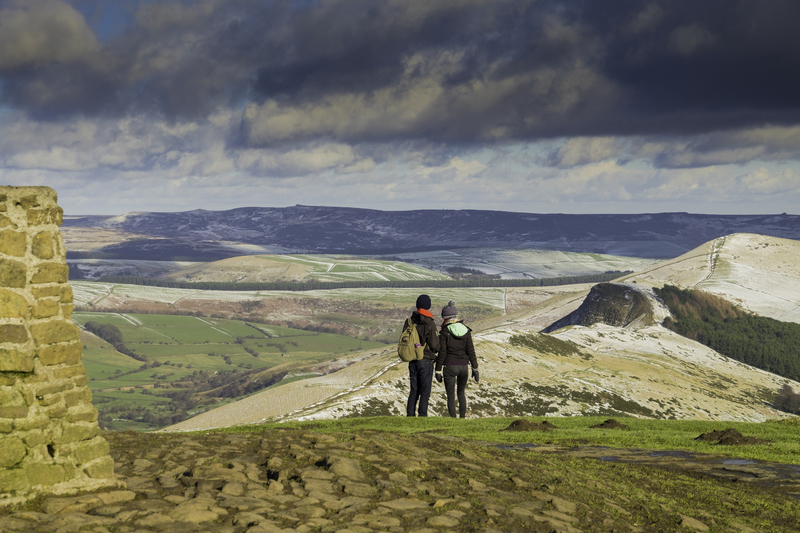 This means it’s the perfect time to organise a winter break to the Peak District. Filled with beautiful walking routes, breathtaking scenery and a peaceful atmosphere, it’s the perfect place to just relax and soak up the surroundings. Below we’ve listed some of the top things to do during the winter season. Pull on your boots, wrap up warm and get moving! The White Peak has some brilliant walks on offer from the challenging 10-mile Manifold Valley walk from Wetton to Ilam. It may be tough, but it’s certainly worth the views! Or why not try the Ilam Park to Dovedale stepping stones walk and discover the beauty of the limestone countryside of the southern Peak District? Famous for its wildlife and geology, this is perfect for all fitness levels. If you enjoy exploring woodland areas then the Woodland Explorer Walk is the perfect choice for you. You can discover medieval fields and ancient oak woodlands. Or, if you want to try and spot some deer this winter then the Red deer and edges walk is one for you to try. This is in the southern part of the Peak District National Park and is set within the iconic, dark landscape which is well-known for its different types of wildlife. This is a great activity to get yourself moving in the cold winter weather. Explore some of the area’s most beautiful underground caves with Dolomite Training. As well as caving activities, they also offer a varied range of other outdoor activities such as rock climbing, mountain biking and more. Perfect for the whole family, caving routes can be tailored to your level of fitness. The winter months are a perfect time to cycle the Monsal Trail as it’s less busy and offers an intimate experience of the fascinating industrial heritage that surrounds the trail, such as old railway tunnels and lime kilns. You’ll also be greeted with beautiful vistas and stunning wildlife such as short-eared owls and mountain hares. If you’re searching for accommodation for walkers in the Peak District then check out our range of holiday and self-catering cottages. Contact us today to start planning your winter escape to the Peak District.